"It's a scary world these characters live in. A desperate one. It's brutal what we put them through," says writer Spencer. "The shocks aren't confined to the last page, they're peppered throughout. There are a lot of 'shift in your seat uncomfortably' moments. You don't get Riley Rossmo to draw your book and not heap on the horror and violence." Rossmo's art is in a moody wash of muted tones, with shocks of stark red. "Bedlam's art is pulling a bit stylistically from my last three books," said Rossmo. "I'm trying for a cleaner line, lots of spotted blacks, and strong well-designedcolor palettes. The Film 'M' and David Mazzucchelli are big visual influences. I'm super-happy with the pages I've finished so far." 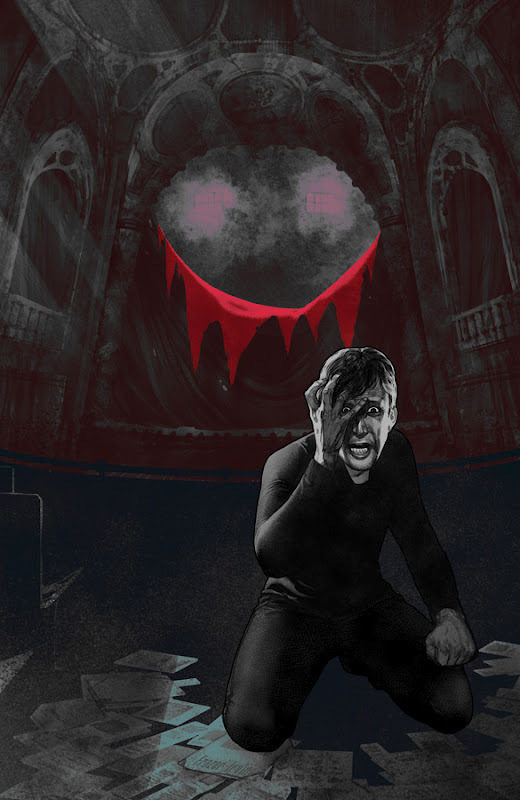 BEDLAM's first issue is to be released on Halloween, and the creative team anticipate that it will be the first of many. "There's a long-form, big commitment story here, that we will hopefully tell for years to come," said Spencer. "It's like Morning Glories in that sense. The book's not going to be around a little while then vanish. The goal here is to build a mythology around a modern American metropolis, with Madder Red as our guide. It's exhilarating, starting down the path of something likethis." At 48 pages, BEDLAM #1 (AUG120461) is a double-sized introduction to a cityscape of murder, mayhem and mystery with a cover by Frazer Irving (Xombi) . It is available for pre-order now.